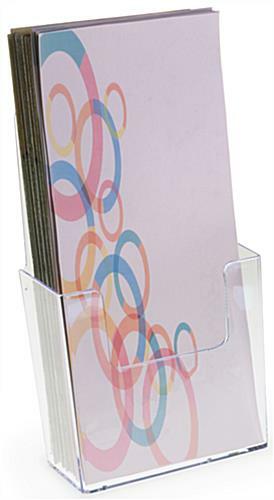 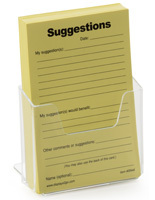 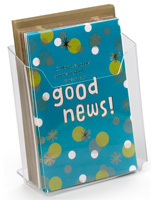 This plastic desktop flyer holder is an inexpensive version of a line that is also made in acrylic. 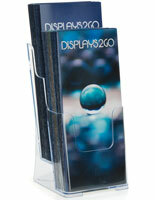 The clear literature display has a back support to keep the brochure pocket upright and in place. 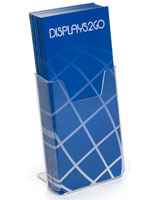 The flyer holder that is molded has a front cutout for easy access to materials that should be a bit rigid to prevent bending of leaflets. 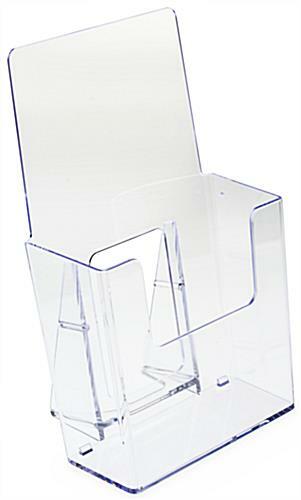 The clear pocket has a high back to help support taller materials for the best possible presentation. 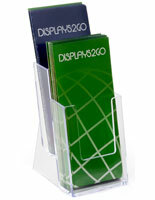 The holder is able to withstand placement in retail situation for use holding credit applications. 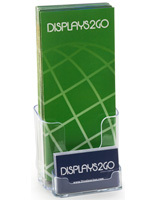 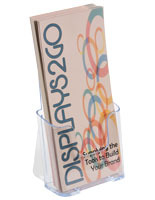 The literature display is 4.5” wide so it will easily hold 4” trifold brochures. 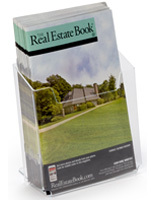 4.5" x 7.1" x 1.8"
4.4" x 6.0" x 1.6"